1. After you hit the download You can get the file extension “.txt”. 2. When you open a file. “.txt” to the link for the file “.dll”. And sample files. 5. You will see a lot of files. But for you to download the file “.dll” (or you are Jersey Press Ctrl + A to select all the files, right click on any file selected. You’ll see the download menu). 7. If a dialog appears. For license. Gives you the license to be put. I usually start with an “op-” >> Press OK >> wait if a valid license, you get a success message. 8. The license issue You can manage your account. 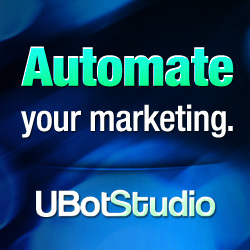 Q: After installing the plug-in, but the plug-in does not appear in the program Ubot Studio. A: install “.NET Framework 4.5.2 or last version” >> Restart your computer. Q: Unable to contact License Server. 2. Not re-name plugin (.dll) file ot other. 3. Check the Internet and System Proxy. 5. IP has been blocked due to trying to access this site abnormally. if you not get answered in 15 minutes. means I’m sleep or not at home.